Tanesha holds a Bachelor's degree in Applied Behavioral Analysis with a minor in Dispute Resolution. She has served the Alzheimer's Association Dallas & Northeast Texas chapter since 2012. 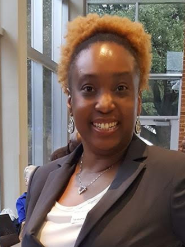 In her role as Care and Support Specialist, Tanesha provides one on one care planning, crisis management, and information and referral services for families affected by Alzheimer's disease and the general public. Tanesha also oversees the chapter's First Responder training program.